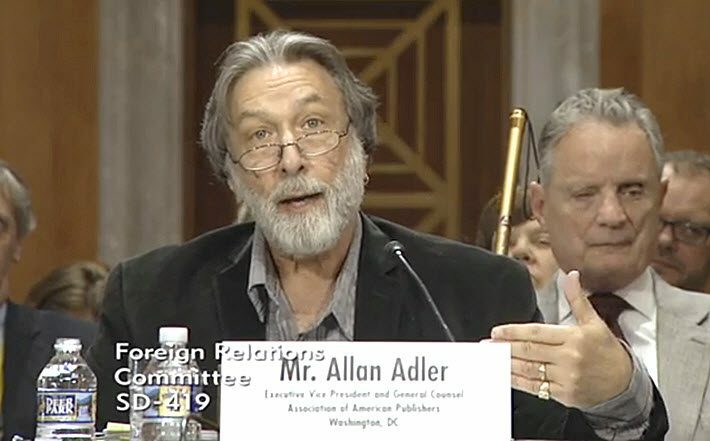 Telling US Senators on the Foreign Relations Committee that the alternative is discrimination against readers with disabilities, Allan Adler conveys to the Association of American Publishers’ readiness to support ratification and implementation of The Marrakesh Treaty. 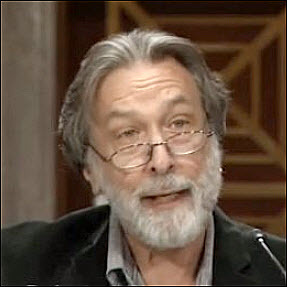 In a hearing today (April 18) before the United States’ Senate Foreign Relations Committee on the Marrakesh Treaty, Allan Adler, executive vice president and general counsel of the Association of American Publishers (AAP), has testified to the AAP’s full and extensively considered support for American ratification and implementation of the treaty. As readers of Publishing Perspectives know, the purpose of this international treaty is to facilitate access to published works for people who are “blind, visually impaired or otherwise print disabled” by creating a universal copyright exception that will allow authorized parties to “travel” accessible formats to appropriate consumers. Our coverage to date has centered—in line with our mandate—on the international level of the treaty’s development, most directly in the efforts of the World Intellectual Property Organization (WIPO) and the International Publishers Association (IPA). Those interested can access the 43-page IPA Guide to the Marrakesh Treaty. The hearing today focused on the American understanding of the treaty’s purpose and value and the rationale for its support. Needless to say, the key witness was Adler because he represents the United States’ most prolific producer of reading material, which is at the heart of the treaty. And the hearing, as it turned out, was probably was one of the lightest hearted moments on Capitol Hill in many months. So jovial were the committee members to find an issue before them in which, according to testimony, there is no known opposition, that Sen. Bob Corker (R-TN), the committee’s chairman, jokingly apologized to one of the witnesses called to testify for the fact that the committee would not be grilling her. When Corker’s colleague Sen. Bob Menendez (D-NJ) quipped that the Democrats could happily change that if the witness would be disappointed not to be grilled, Corker drew a huge laugh from the room, saying, “Well, I’m sure Director Pompeo might wish his hearing would go the same” for his nomination by Donald Trump as Secretary of State. Manisha Singh, assistant secretary for the Bureau of Economic and Business Affairs, would confirm to Sen. Jeanne Shaheen (D-NH)’s question, there is no known opposition to the treaty’s full ratification and implementation. There appears to be rare bipartisan unity in support of the treaty. 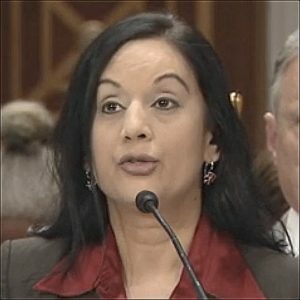 Singh would, in her opening testimony, verify for the senators in her capacity as the key representative for the State Department on the project, that all relevant governmental agencies are in accord on the treaty. “Our negotiators consulted closely throughout the process, with US stakeholders including intellectual property rights holders, print-disabled individuals, libraries, and other organizations that play a vital role in distributing copies [of content] in accessible formats. Scott LaBarre, legal counsel to the National Federation of the Blind, then quickly laid out the essential need the Marrakesh Treaty answers, telling the committee members that sight-challenged citizens of the world see the questions addressed by the treaty to be “much more than a copyright issue. It is truly a human rights issue. 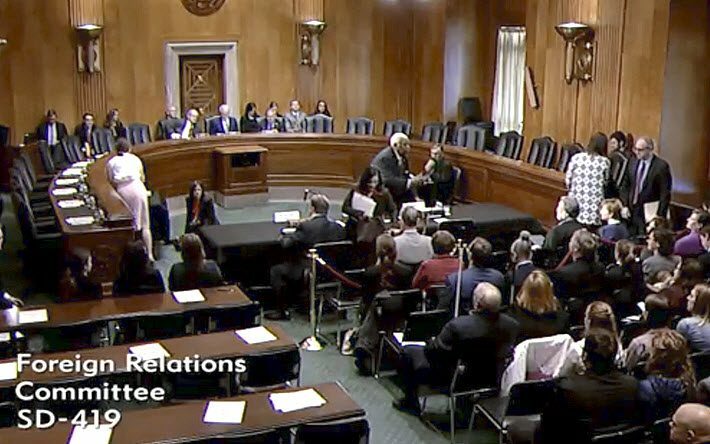 “We argue that the blind and other people with disabilities have a right to live in the world,” LaBarre told the senators. “Fundamental to that right is the right to access information. Blindness is a physical disability that restricts our ability to read the printed word. But as this committee knows, there are ways to provide that same information in alternative formats. “The problem has been that the regular marketplace has not provided those accessible formats. And copyright law has stood as a barrier to producing those formats in a timely fashion. Additionally, international copyright law led us to a situation where even if we had accessible work here in the United States, you could not share that with others in the world. With the groundwork laid, it fell to Adler, then, to deliver the key testimony, confirming not only the imprimatur but also the leadership of the world’s largest trade publishing industry in support of the Marrakesh Treaty. Careful to reiterate the AAP’s opposition to other proposals pending at WIPO for multilateral copyright “limitations and exceptions only” treaties—calling them “unnecessary and inappropriate”—Adler spoke to the unique nature of the Marrakesh Treaty because it addresses, as LaBarre had said, a fundamental human rights concern: discrimination against individuals based on their personal disabilities. Adler entered a nine-page written statement into the committee’s record, and spoke for his allotted five minutes, as each witness did, in an abbreviated rendition of the AAP’s full statement’s talking points. The key concepts and provisions in the treaty, he explained, echo the elements of the 1996 Chafee Amendment in US copyright law, which allowed certain governmental agencies and nonprofit organizations to serve the “blind and physically handicapped readers” who, at that time, were not seen as constituting a “viable commercial market” for publishers. In probably the most pivotal part of his testimony, Adler then went on to brief the committee on how digital publishing has now made obsolete that original Chafee Amendment premise about readers with disabilities and viable markets. “The validity of that [Chafee Amendment] premise, continues to diminish, as ebooks and audiobooks, online digital platforms, and standardized publishing formats like EPUB3 have made literary works more accessible and easily available through downloads, streaming and online display. “AAP’s EPUB3 Implementation Project and parallel efforts like the EDUPUB Initiative will continue to significantly advance accessibility in the marketplace as publishers work with retailers, digital content distributors, device makers, reading systems providers, assistive technology experts and standards organizations to advance EPUB3 as the global distribution format for publications on the World Wide Web. “As these developments produce accessible offerings in the market, it will be unfair to allow regulatory measures like the Chafee Amendment to privilege competing free reproduction and distribution of the same works in accessible copies. The Marrakesh Treaty treats adoption of a ‘commercially available’ exclusion as an option, rather than a requirement, for contracting parties, but publishers in the UK, Canada, and Australia can already take advantage of such provisions in their national laws. And even as the senators continued to look at each other in near-amazement at the harmony between them on the treaty, a last big laugh was in store. In part of his follow-up commentary, the National Federation for the Blind’s LaBarre described starting work almost a decade ago on the development of the treaty. and talked of the original meetings in Marrakesh, sessions in which some very difficult agreements were pounded out for the treaty’s basis. 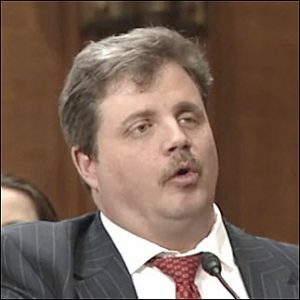 Also testifying before the Senate Foreign Relations Committee in favor of the treaty was Jonathan Band, counsel for the Library Copyright Alliance. More from Publishing Perspectives on the Marrakesh Treaty is here.